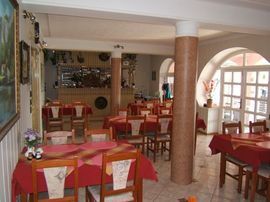 The Korona Panzió has a restaurant of it's own, where 40 - 45 persons can dine. 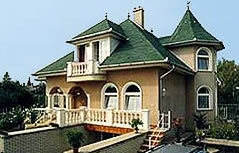 On the romantic terrace of the restaurant other 55 - 60 persons can have their meals. 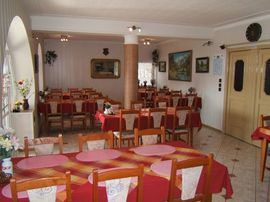 It's cuisine is very good, the meals are delicius, they are in Hungarian style.